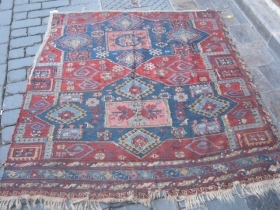 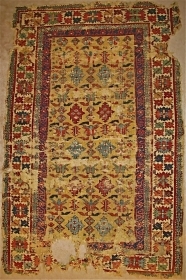 Fine Antique Caucasian Shirvan Rug, very good condition, original sides, late 19th century. 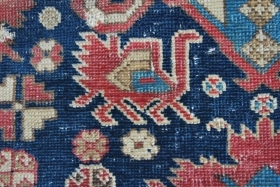 pls ask for images of the new acquisitions. 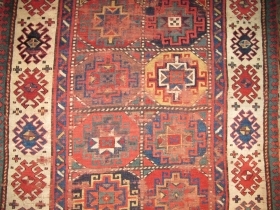 Large Caucasian triple medallion Kazak Rug, 257x143 cm, excellent condition, original ends and sides, late 19th century. 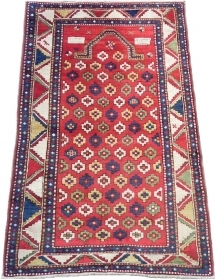 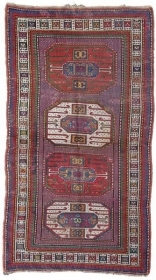 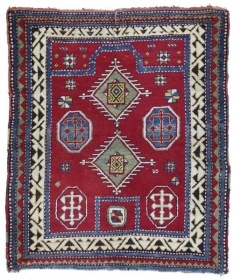 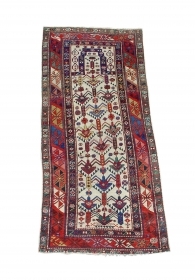 Caucasian Kazak Prayer Rug c.1900-1910 measuring 4.1 x 3.0. 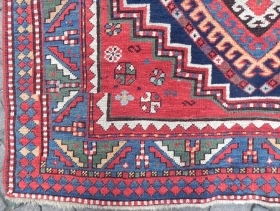 16-photos upon request. 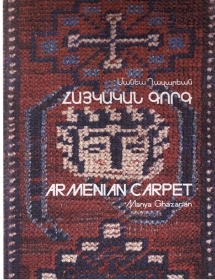 Chelaberd (Eagle Kazak) Rug, Karabagh region in Southern Caucasus, 244x148 cm (8x4.11 ft), second half 19th century. 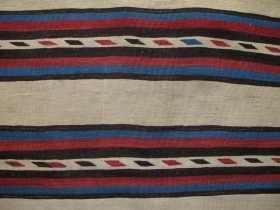 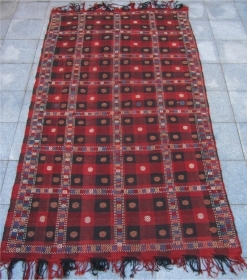 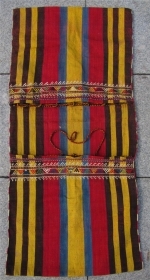 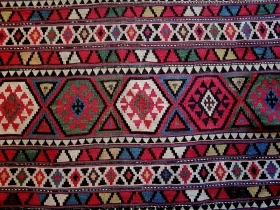 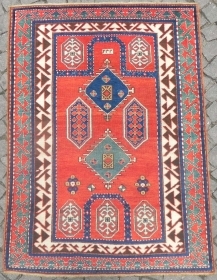 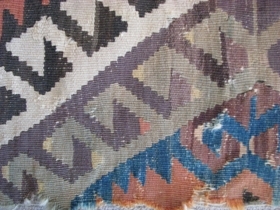 South Caucasian Kilim,170x250cm,all natural beautiful colors,fine weave,great condition. 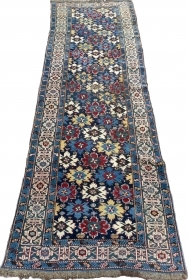 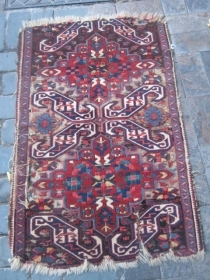 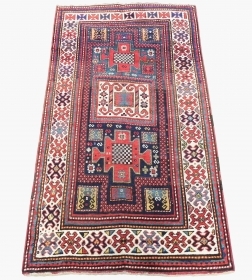 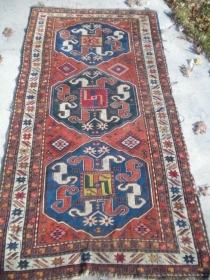 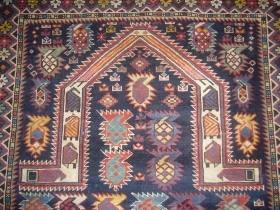 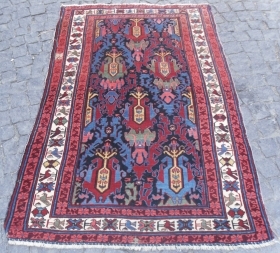 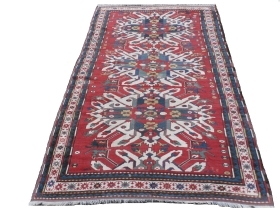 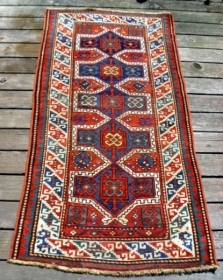 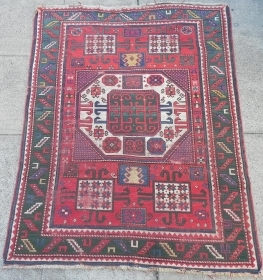 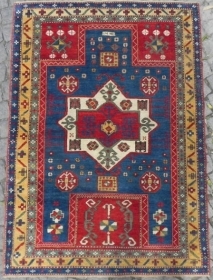 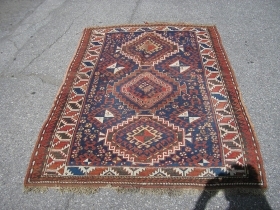 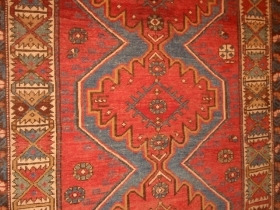 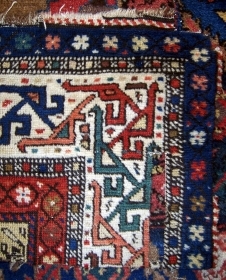 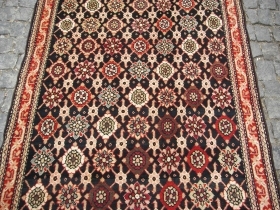 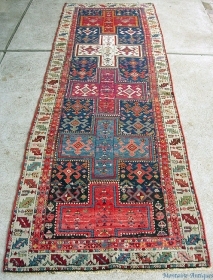 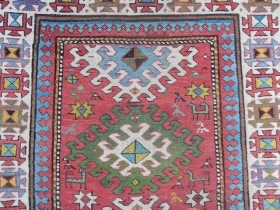 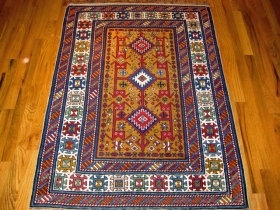 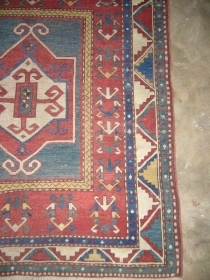 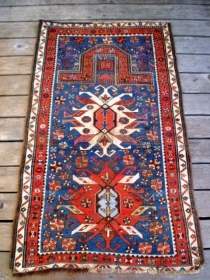 Caucasian Kazak Rug measuring 6.0 x 3.0. 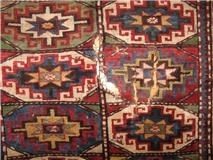 26-photos upon request. 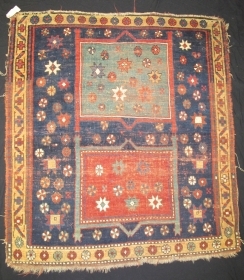 Caucasian Shirvan Lesghi Star c. 1910 measuring 5.2 x 3.3. 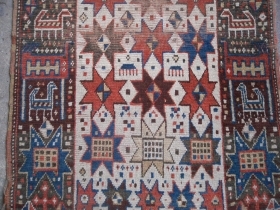 24-photos upon request. 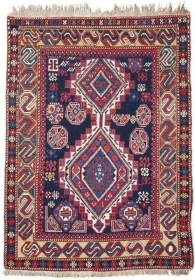 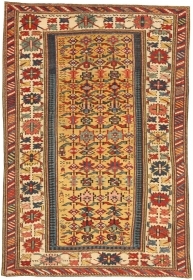 Caucasian Karachov Kazak Rug, 215x123 cm, very good condition, late 19th century. 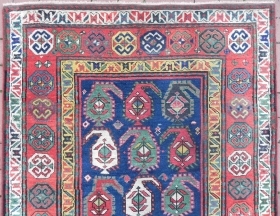 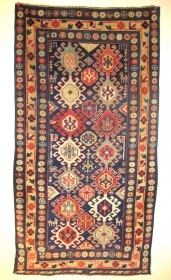 Caucasian Gendje Kazak Rug, 261x114 cm, second half 19th century, excellent condition and great colours. 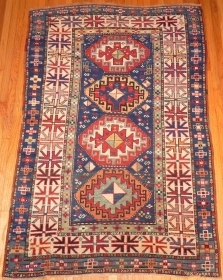 super nice, fine, early shirvan kilim w/ great colors. 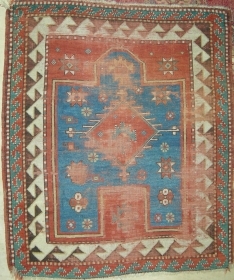 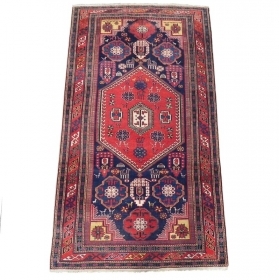 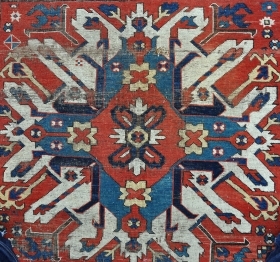 Caucasian Karachov Kazak Rug, original as found, no repairs, second half 19th century. 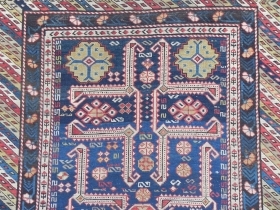 Collectors Pce Blue ground Marasali Prayer Rug,excellent condition,all original without any repair,supereb colours,finest weaving,real gem,Size 5'*4'.E.mail for more info and pics. 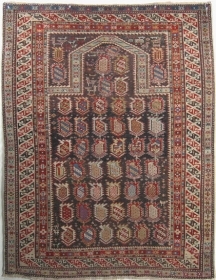 Antique Caucasian Fachralo Kazak Prayer Rug, Dated 1328 (1910 ad), a top of the shelf collector`s rug in German condition. 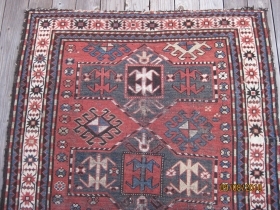 Antique Caucasian Kazak Rug, excellent condition, full pile, no repairs. 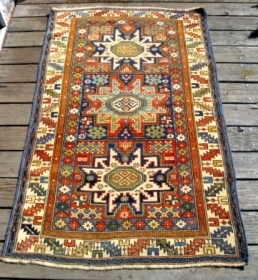 Caucasian Fachralo Kazak Rug,nice condition,beautiful Fachralo desigen,good colours,border stripe is been repaired professionaly.Hand washed ready for use.E.mail for more info. 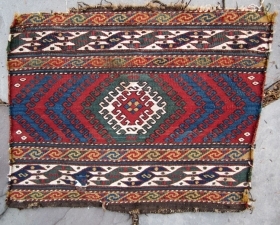 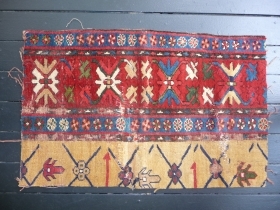 2 (1/3's) of an 18th c.
Gendje border fragment, approximately 37"x14". 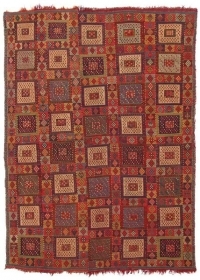 Soft wool and saturated colors. 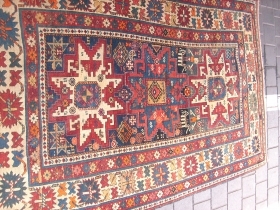 Please check out my other listings. 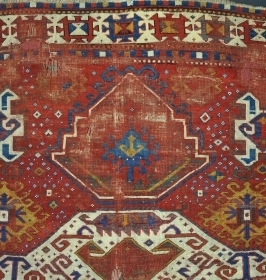 a handsome South Caucasian fragment from the first half of the 19th century. 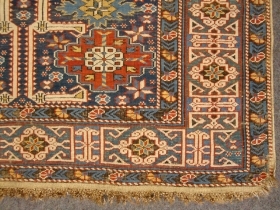 Lovely saturated color -- measuring 28" x 17"